In this page you can learn several common terms used in RYLA in District 3450. The participant chosen by the RYLA Organizing Committee to represent District 3450 as a delegate to attend an International RYLA program (no longer continue in 2011) and Rotary International Convention. Selection criteria is set by the RYLA Organizing Committee, but generally the selected candidate possess good language abilities and interpersonal skills, and demonstrated an outstanding performance in the RYLA program. A RYLArian who is being nominated by a RYLA Organzing Committee member for the Best RYLArian recognition. A participant who have attended a previous RYLA program. It is Rotary's youth and educational programs, including RYLA, Rotaract, Interact, Rotary Youth Exchange, Ambassadorial Scholarships and Group Study Exchange. It is the RYLA program held at international level, i.e. International RYLA, hosted by the RI RYLA Committee. Some Rotary Districts will have their own RYLA programs in the form of conferences. It is the orientation day, stage one of a RYLA program. Program briefing and team building are carried out in the orientation day. It is a residential training camp, stage two of a RYLA program. The camp lasts for at least two days and in recent years it usually lasts for four days. 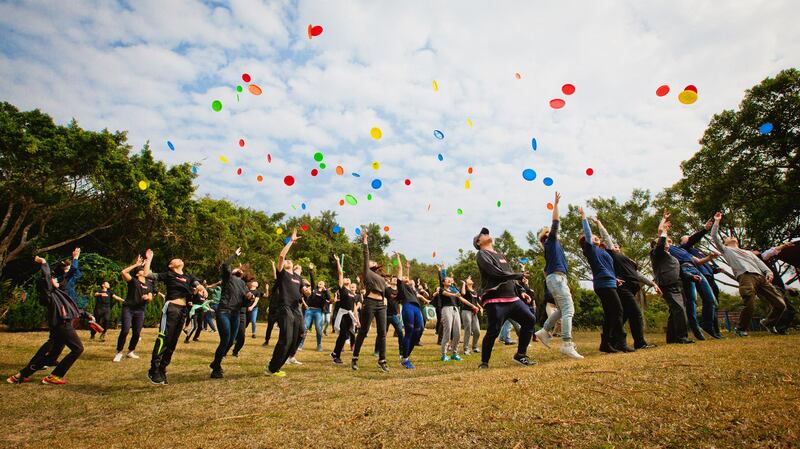 The camp program usually includes development programs, indoor and outdoor challenges in experiential settings to foster participants' leadership competence, teamwork and communication skills, social responsibility and personal commitment. The RYLA Organizing Committee, responsible for organizing a RYLA program. The person who chair the RYLA Organizing Committee. The person in the RYLA Organizing Committee who take charge of the camp administration, discipline and ensure the camp program run smoothly. The camp warden is the number two person in RYLA OC. In our tradition the camp warden of the current year will become the RYLA Chair in the next year. The person in the RYLA Organizing Committee who direct the training program for RYLA OC members. The person in the RYLA Organizing Committee who direct the RYLA program. A person who deliver a program in RYLA. A person who work with group processes to ensure programs run well and learning of each team member take place in line with the RYLA theme and training objectives. It is the old term used to describe a similar function of a "Team Facilitator". 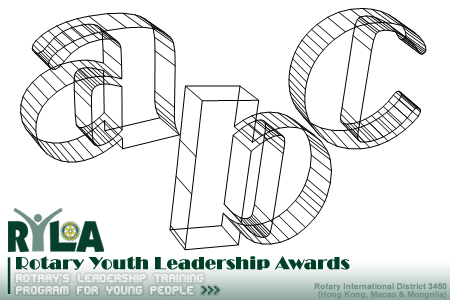 It is used before RYLA 2009-2010. A person who work in the program team to ensure the RYLA programs design and run smoothly, and is able to create appropriate environments so that the learning process for participants takes place effectively. It takes up the administration duties for RYLA. Usually it is the Rotary Information Centre (RIC) taking this role. The RYLA Alumni Committee was set up on 1st April 2011 to handle the RYLA alumni affairs. It is a gathering event, at least once a year, for RYLArians and related members. It is held normally a few weeks after the RYLA program each year. A cheer up slogan used in District 3450's RYLA to maintain a high RYLA spirit among participants. It is first used in RYLA 2007-2008, and soon become a standard in RYLA. Every RYLArian knows this cheep up well!